Gaming Illustrated features reviews and previews for PS3, Xbox 360, PC, Wii and mobile platforms. We also publish exclusive interviews and the latest breaking news in the video game industry. Our site dates back to May of 2001 when it was originally named “TFH Gaming” and was one of the internet’s first review websites specifically dedicated to gaming. 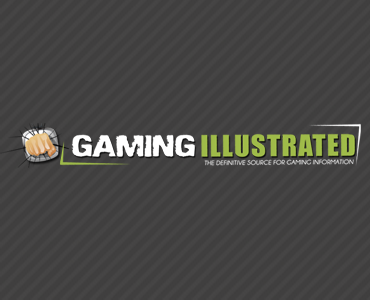 One year later the site was rebranded “Gaming Illustrated” due to the fact the original domain name sucked (hey, just being honest). The new name better reflected the insider’s perspective our site provides while providing honest and informative reviews that are not compromised by advertisements or endorsements by third parties. Our pool of writers has been actively involved in the industry for over 10 years and come from a diverse set of professional backgrounds including programming, design, software development, project management and engineering. Our site is dedicated to a simple concept – provide content that’s dedicated to bringing the facts and offering up honest opinions, be it good or bad, about the products we interface with. We don’t want to add to the massive gluttony of shallow content that plagues the internet. Too often sites simply rewrite press releases to fill their sites with articles nobody in their right mind would be interested in reading. We aim to write opinionated pieces that rely on factual information. Description: If you have a service or product you’d like to get the word out to our rabid gamer audience, consider using our services to write up a featured story to run on our site. We would have one of our writers craft an article that can either be about your specific service/product OR develop an article that looks like a marriage between the two subjects but comes up on the keyword that people are searching for… something like “StarCraft 2 Gamers Get Paid by (Your Company)” that would be aimed at the Starcraft 2 keyword in Google but be about how people that play StarCraft 2 with (Your Service/Product) can benefit from (Your Service/Product). We’ll include a link throw traffic your way but the goal here should be about pure brand awareness. Duration: In the “Featured” slider a minimum of 1 day (probably 2), article will forever sit within our site. Requirements: The product, game or service must be relevant to the Gaming Illustrated community. Gaming Illustrated will *NOT* run a canned review nor will we accept payment to sway us in our opinion of your service or product. Our site reserves all final editorial rights over the article, but we will work with you to make sure the tone and direction are aligned with the goals we mutually agree upon at the outset of the project. We’ll need an extensive description of your product or service, links to your websites and any other collateral you can send our way to educate ourselves about who/what you are.